If football has an official dish, it’s got to be chili. In my opinion, no football party is complete without a pot of this hearty, spicy stew simmering on the back burner. Whether you’re looking for a classic beef chili, a crockpot or Instant Pot chili, or something a bit more off the beaten path, here are all of our very best, very favorite chili recipes for your game day party! Shredded cheese — a definite MUST! Looking for some ideas for what to serve alongside your chili? Wedges of Southern cornbread or garlic knots are an excellent choice. If you’d like to balance your chili with some greens, then mix up a giant bowl of Caesar Salad and let guests help themselves. Chili, just like most stews, is almost always better the day after its made, so feel free to plan ahead with this one! Your chili will keep in the fridge for about five days and can be reheated over low heat on the stovetop. If you happen to have some chili leftover after your party, it freezes very well. Pack it into freezer containers or bags, and freeze for up to three months. Thaw overnight in the fridge, or just reheat the frozen chili straight from the freezer. There are two main ways to think about the differences between stock and broth: how they’re used and how they’re made. Let’s take a look at both and then talk about what this means for our cooking! In classic French cuisine, stocks are considered to be an ingredient that’s used to make other things. They’re typically left unseasoned or only minimally seasoned (i.e. little or no salt or other seasonings) so that they can be used in as wide a variety of ways as possible. Stocks can be used to make soup, reduced into a sauce or a glaze, or used to make a risotto—all these things can be made from the same batch of stock. Broths, on the other hand, are less of an ingredient and more of a food that can be consumed on its own. They are usually salted and seasoned, and can be sipped just like that or used to make a simple soup. You could argue that just by adding salt to stock, you have turned it into a broth. In fact, this is how the difference was explained to me when I was in culinary school! Because broths have been salted, this restricts the ways they can be used. You can use it to make soup, but you can’t reduce it down to a sauce or use it in a risotto without risking an overly salty dish. A broth might also have been spiced or seasoned in such a way that its flavorings aren’t appropriate for all dishes. This definition of stocks as an ingredient and broths as a food product is the way classically trained chefs tend to think about such things in their restaurant kitchens. 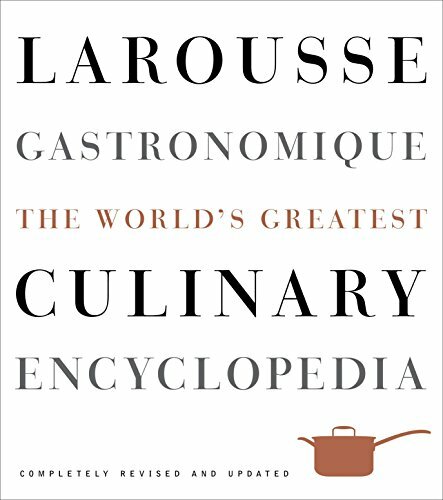 You can read more about this in Larousse Gastronomique or in The Professional Chef from the Culinary Institute of America. Another way to think about stocks and broths is in terms of how they’re made. Stocks are typically made from meaty raw bones, leftover carcasses (like a chicken carcass), and meat and vegetable scraps. In the case of vegetable stock, only vegetables are used. These stocks are usually simmered for several hours to extract as much of the flavor and nutritional value from the ingredients as possible. If you’re making a chicken or beef stock, you also extract collagen from the bones and cartilage, which adds body and silkiness to the finished stock. Broths are usually much lighter and have less body than stocks. They’re most often made from poaching meat, vegetables, and seasonings in water for a relatively short length of time–often the length of time it takes for the meat to cook or the broth to pick up some flavor! For instance, the liquid left behind after poaching chicken is a broth. This is how many modern chefs and food professionals think about stocks and broths. 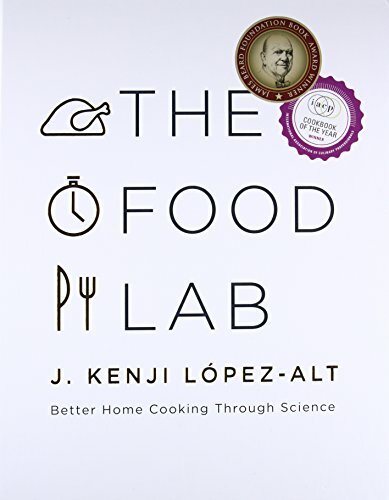 You can read more about this perspective in The Food Lab by Kenji López-Alt. STOCK VS. BROTH: WHICH SHOULD YOU USE? Think of this like a spectrum with homemade stocks at one end and broths at the other, and within this spectrum, there is a range. You can have stocks that have been seasoned with salt and are ready for drinking (this is what’s marketed as “bone broth”). You can also have light broths that have little or no salt, and can therefore be used in similar ways to unseasoned stock. So which should you use? By and large, you can honestly use either stock or broth in almost any preparation in your kitchen. We’re home cooks who are using what we have, not restaurant chefs trying to get a 5-star review. Just know that a rich stock will result in a richly flavored dish while a light broth will result in a lightly flavored dish. Neither is necessarily better or worse; they’re just different. The big caveat is the salt. If your stock or broth has been salted, be very careful of how you use it. If it reduces down at all, this will likely result in an overly salty dish. If you’ve made homemade stock, it’s best to wait to salt it until you’re actually using it in your recipe. WHAT ABOUT STORE-BOUGHT STOCKS AND BROTHS? In my experience, commercial brands tend to use the terms “stock” and “broth” pretty much interchangeably. The products have seemed virtually identical to me when I’ve tried them. These store-bought stocks and broths are also usually closer to the “broth” end of the spectrum. They tend to be lightly flavored and lack the silky body of a long-simmered homemade stock. As such, they’ll result in a more lightly flavored dish than if you used homemade stock, but still something that’s plenty worthy of serving for dinner. So, yes, you can buy either stock or broth for your recipe. But having said this, I highly recommend buying sodium-free or low-sodium versions. 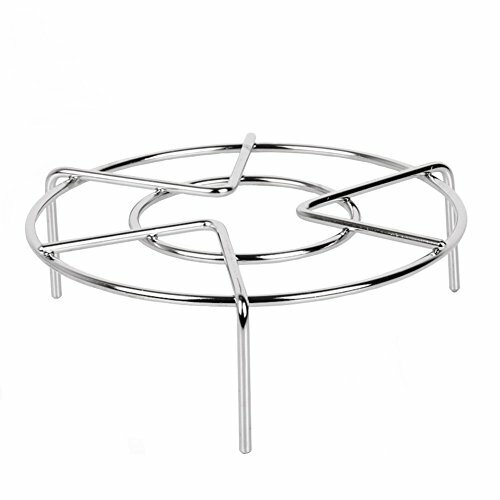 This will give you the most flexibility and allow you to salt your dish to your personal taste. Want to Make Some Stock?! Here are a few great recipes! Happy (almost!) New Year, everybody! As always when we find ourselves the end of December, it feels a little hard to believe that we’re actually here. Where, oh, where did 2018 go? Well, I’ll tell you: It went to Tater Tot Casseroles and Instant Pot recipes. It went to our popular Weekly Meal Plans, which we started just over a year ago. It went to skillet chicken dinners and make-ahead tips for easier weeknight meals. It went to a new feature that lets you shop online for ingredients to any recipe on Simply Recipes and have them delivered to your door — have you tried this out yet? Yes, 2018 went so very many wonderful and tasty places! So, before we leap into 2019, I thought it would be fun to take a look back at 2018. Here are all the recipes that you — our readers — loved the most from each month, January through December. Enjoy the look-back — maybe you’ll discover a few new recipes you missed the first time! And cheers to the new year! We have lots of fun things planned for 2019, and we can’t wait to share them all with you! Peppermint bark is such a traditional and quintessential Christmas treat. It’s also ridiculously easy to prepare in just a few minutes! Melt chocolate. Pour onto cookie sheet. Sprinkle with crushed candy canes. Chill until firm. If you want to get fancy and temper your chocolate, check out this tutorial from David Lebovitz. Tempering will make your chocolate look glossy and have a nice snap! when you break it apart or bite into it. Peppermint bark is fantastic with either white or dark chocolate. Choose your favorite, or make batches of both! Either way you go, use a chocolate that you enjoy eating. It’s the main ingredient, after all! Want to get really crazy? Try layering the white chocolate and dark chocolate! If you decide to layer, double check that your white chocolate is made with cocoa butter. If it’s made with palm oil or another kind of fat, it has a tendency to separate from the dark chocolate layer once the chocolate has set. It also helps if you add the top layer while the bottom layer isn’t totally cold and set when you pour on the top layer. Simple melted chocolate topped with crushed candy canes is wonderful, of course, but I also like to add a splash of peppermint extract to the melted chocolate before pouring it out. The extra kick of peppermint flavor really makes this treat feel special for the holidays. Once hardened, just lift the bark off the baking sheet and crack it into pieces with your hands. If you’d like a more uniform look, do this: Wait for the chocolate to just barely start to harden (it will hold your fingerprint if you press down, but won’t make your finger wet). Use a paring knife or a chef’s knife to gently score the top of the bark into uniform squares or rectangles. Let the chocolate finish cooling completely, then break it apart along the score lines. Peppermint bark will keep for weeks if stored in an airtight container at room temperature. This makes it a great gift idea around the holidays — make a big batch at the beginning of December and grab what you need for easy gifts for teachers, neighbors, and friends. On the odd chance that you actually get tired of eating peppermint bark straight from the cookie tin, try chopping it up into pieces and make these Peppermint Bark Cookies or sprinkle them over a batch of brownies! Updated December 23, 2018 : Peppermint bark is simple, but a surprising number of questions can come up. We added a lot more detail on how to crush the candy canes, melt the chocolate, and make your best batch of peppermint bark ever. Enjoy! Shepherd’s Pie is one meal that both my husband and I can have for days on end and never grow tired of eating. I mean, creamy mashed potatoes on top of ground beef and tender veggies in a lip-smacking sauce — what’s not to love?! The only reason that we don’t make it more often is because (let’s be honest here) it’s kind of a production to make. As in, an afternoon-consuming production that leaves my kitchen looking rather storm tossed by the end. Some weekends, I enjoy this production. Others, not so much. Enter my new favorite recipe: this Pressure Cooker Shepherd’s Pie from my pal and Simply Recipes contributor Coco Morante’s new book The Ultimate Instant Pot Cookbook. You guys, this recipe is fast, easy, and most importantly, delicious. It also leaves a minimum number of pots and pans to clean, and that gets a thumbs up in my book. Please allow me to tell you all about it, as well as about Coco’s awesome new book! When I first came across this recipe, I was puzzled. Maybe I hadn’t had my coffee yet, but I imagined tossing ground beef, veggies, and a few whole potatoes into the Instant Pot and then lifting off the lid to reveal a table-ready Shepherd’s Pie topped with mashed potatoes. In reality, there are a few more steps involved — though not many! Coco has you start by prepping the filling using the Sauté function on the Instant Pot. Then you place a tall steamer rack in the pot and place the peeled potatoes on top. Then the lid goes on and everything pressure cooks together. At the end of cooking, the potatoes are perfectly cooked and ready to be mashed with milk. For a traditional casserole-style shepherd’s pie, you transfer the filling to an 8×8 pan, top with the mashed potatoes, and broil until the top is golden. You can also serve this in bowls by scooping out some filling and topping it with a generous dollop of mashed potatoes. So easy! This is absolutely my new favorite way to make Shepherd’s Pie, but there are plenty more recipes in this book that I’m excited to try. I’ve actually already made the Sweet Potatoes Stuffed With Black Beans and Quinoa. Verdict: phenomenal. I love having this easy, meat-free meal in my back pocket. Reading through the book, I also appreciate how straightforward and approachable all the recipes feel — though of course, this shouldn’t come as a surprise since this is why I love featuring her recipes here on Simply Recipes as well! With its mix of basic recipes (like yogurt and chicken broth) and recipes to make for dinner, I think this book would be a good one for new Instant Pot users and die-hard fans alike. Say “Hi” to Coco Morante! One last treat for all you readers out there: I thought it would be fun for you to get to know Coco a little more. Here’s a quick Q&A with the author herself! 1. How many Instant Pots do you own? Right now, four. I’ve also given some to friends and family as I’ve upgraded or received new units for review. Currently I have two 6-quart models (Ultra and Smart WIFI), as well as 3-quart and 8-quart pots. 2. What’s one recipe from this book that you really want people to try and fall in love with? Cincinnati Chili (page 109). I adapted the recipe from a stovetop version shared with me by my friend Diana Pray. It’s full of spices, including a healthy dose of cinnamon — the Midwestern-meets-Greek flavor is so unique and delicious. You have to try it (served over spaghetti, of course)! 3. 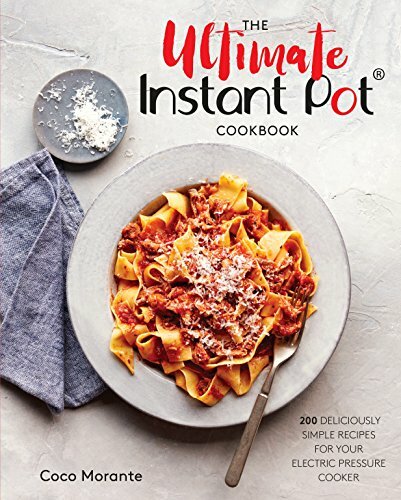 What three recipes from this book are best if you just got your first Instant Pot? Risotto (page 52), because it’s so easy you won’t believe it. Split Pea Soup (page 86), because it tastes like my grandma’s did — I’m transported back to her kitchen when I eat a bowl. And Succotash (page 246) — most all the ingredients come from the pantry or freezer, so you can make a hearty, nutritious vegetable side dish any time. Those are all really straightforward recipes that don’t require you to buy additional accessories, so you can make them right when you take your Instant Pot out of the box. Danish-style rye bread, a.k.a. rugbrød. It’s dense and chewy, and so flavorful. I’ve been toasting slices of it for breakfast for weeks now, ever since the weather turned chilly. My favorites are from Tabor Bread and Regular Portland Bread. 5. Three ingredients that are always in your pantry? Nutritional yeast, almond flour, and San Marzano-style canned tomatoes. 6. Go-to beverage when you’re done testing recipes for the day? Lately, a big mug of Cranberry Vanilla Wonderland tea. Depends on the season, though! I’m wrapping up my third cookbook and developing recipes for the fourth. It’s a whirlwind of Instant Pot recipe testing over here, nonstop. I can’t wait to share them all! Looking for more of Coco’s Instant Pot Recipes? Thinking about shipping some cookies to a faraway friend or family member? Can I give you my address? I kid, I kid! Shipping cookies to a loved one is one of the best, kindest, and most sincere gifts that I can think of. Nothing is more special than receiving a box with special treats that you not only took the time to bake yourself, but also tenderly packaged in a box and got in the mail. That’s love. Below are all our favorite cookies from Simply Recipes that would be great shipped in the mail. But first, some advice on making sure your cookies get there intact! Just Here for Cookies? Skip to a Section! This should come as no great surprise to you, but sturdy, solid cookies ship much better than delicate or crumbly cookies. Frosted cookies are ok as long as the frosting is set and hardened. Cookies that have been frosted with buttercream tend to soften and smear when stacked together. Proceed with caution when it comes to rolled-out cookies like gingerbread people or sugar cookies. If you plan to ship them, I suggest rolling them slightly thicker than you might otherwise. Also, use cookie cutter shapes that are fairly solid, like trees and hearts, as opposed to shapes with delicate parts that can snap off, like snowflakes or candy canes. Even the sturdiest cookies will start to crumble if they’re left to tumble willy-nilly in a shipping box. How you package your cookies will help them survive the journey intact and still be fresh when they arrive at your best friend’s doorstep. Plastic wrap is your friend: Bundle drop cookies, spritz cookies, biscotti, and meringue cookies in pairs with their bottoms kissing, as if you were making a sandwich cookie. Wrap rolled-out cookies, slice-and-bake cookies, in stacks of three or four. Wrap bar cookies individually. Pack it up, but not too tightly: First, add a layer of packing peanuts. Next, add your bundles of cookies. It’s fine if they’re snug against each other (plastic wrap also clings to itself, after all, so bundles that touch is more insurance against free-wheeling cookies), but don’t pack them too tightly or too close to the edges of the boxes. Finally, cover with another layer of packing peanuts, making sure to fill the edges of the box and in between the bundles. Multiple layers of cookies: If your box is big enough, you can certainly do two or three layers of cookies. I try to position the bundles so that they’re not directly on top of each other, so the bundles in Layer 2 are slightly offset from the bundles in Layer 1.